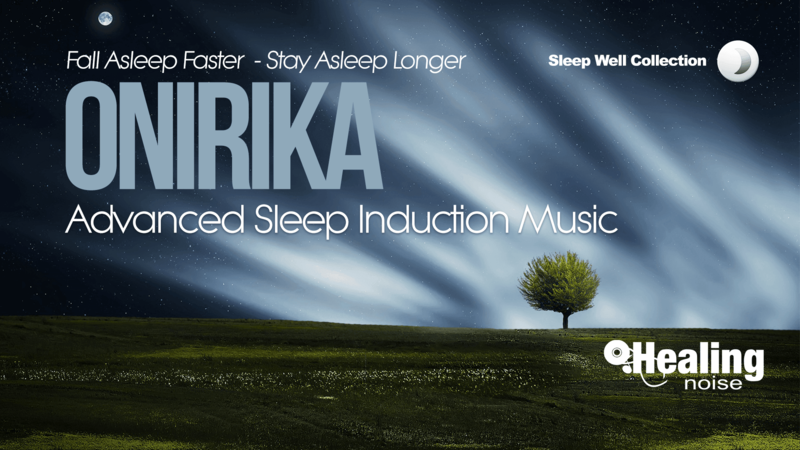 Onirika, by Healingnoise, is a soundtrack which has been formulated to help those individuals with difficulties falling asleep of staying asleep. This program is based on carefully crafted musical harmonies which helps the mind and body to progressively slide into a deep state of relaxation promoting optimal conditions for a better and restful sleep. Onirika is safe for all ages and does not require the use of earphones/headphones; allowing you to use a set of self-powered speakers for comfort and convenience. No spoken words are present during the session, so you can focus on Onirika’s soothing harmonies. Fall asleep faster and stay asleep longer with Onirika, a natural remedy to alleviate insomnia or moderate sleep disorders. Available as part of our OnePlan Subscription Program. Getting a good gight sleep can help you relax by lowering your blood pressure and reduce the levels of stress causing hormones. It can also help you to cope better with daily stressful life events. Sleep deprivation may result in irritability, inability to concentrate, impatience, lack of motivation, and anxiety. When you are well rested, you can enjoy doing more of the things you like to do such as spending time with friends and family. A deficit of sleep contributes to a greater propensity to fall asleep during the daytime and can increase your risk for injuries while performing activities that require high levels of concentration. Being well rested can help to increase the quality of your performance at school, work, sports, and for many other activities. A good night sleep helps the brain to absorb new information improving your memory as a result. Not getting enough sleep lowers libido and can make people more likely to have sexual problems like erectile dysfunction. A good night sleep increases testosterone levels, which boosts sexual appetite for both men and women.